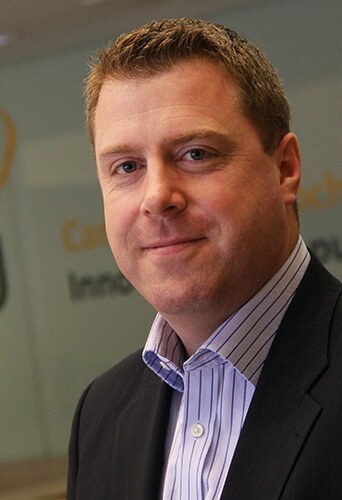 Ronan Furlong is Executive Director of DCU’s recently launched Innovation Campus. Ronan was previously Director of Operations for The Green Way – Dublin’s clean tech cluster, which DCU founded alongside Dublin City Council, Dublin Airport Authority, Dublin Institute of Technology and other regional stakeholders. In the Green Way, Ronan was responsible for strategy, marketing and business development, as well as the facilitation of major industry led clean tech demonstration projects such as Glen Dimplex’s roll out within the city of their new smart electric thermal storage innovation ‘Quantum’. Ronan is a recent graduate of DCU’s Certificate in Sustainable Energy Finance, has a Bachelor’s degree in Architecture from UCD, as well as a Diploma in Construction Project Management and a MBA from Trinity College. As Executive Director of the new innovation campus, Ronan will be responsible for the physical refurbishment and sustainable development of the campus, the marketing and letting of existing and new facilities on site, the development of university-industry collaborations and the establishment of a like-minded community of companies, researchers, institutes, students and external stakeholders, all of whom will be focused on the long term development of the campus as Ireland’s centre of excellence for research, development and innovation in areas such as clean tech, health technologies and ICT.